Whether you’re planning to rent, or already renting, property in Spain, we’ve rounded up some great tips to help you save not only money but time too. 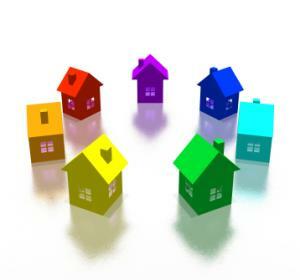 The main websites in Spain for property search are Idealista and Fotocasa. If you prefer to go directly to an agent check carefully the fees involved. Once you’ve viewed a property, note any imperfections and use these to negotiate the price; a 50€/month saving means 600€ a year in your pocket. Idealista offers a full report (in Spanish) about rental prices across Spain (idealista.com/informes-precio-vivienda). Choose by quarter or full year and scroll to the page showing your area. Ensure that the person named on the contract is the actual property owner. You can do this by requesting a “nota simple” from the Property Registry (website partially in English). Don’t just sign a contract without checking it fully in order to avoid any misunderstandings regarding your obligations as a tenant. Legal contracts require that the deposit you pay to the landlord be placed in an official entity designated by the Regional Authorities. It’s always a good idea to have up-to-date photos of each room annexed to the contract, especially of any areas that may be conflictive (peeling paintwork, broken fittings, etc). Not taking the time to do this may mean being charged when you leave for damage that already existed when you moved in. Don’t make the mistake of taking out full building & contents insurance, normally the owner should be responsible for the building insurance (continente) and you should only need to take out contents insurance (contenido). Most major insurance companies in Spain offer policies for tenants; try a comparison site such as Acierto.com. As well as getting quotes from two or three removal companies, why not price it up yourself as well? Many vehicle hire companies have vans and you can get packing boxes and bubble wrap from Amazon Spain or your local DIY store. Take care if using a local “man with a van” service. Unlicensed vehicles may not be insured for any damage caused to your belongings. Why stick with the landlord’s current utilities suppliers? Take a look at our guide on how to reduce your electric bill – with ever-increasing prices this should be a first priority when renting. When you enter the property take a meter reading and let the owner know (if you’re reimbursing the bills) or tell the utilities company so you’re only billed for your usage. If the property has a gas supply, ask the owner for the last official inspection document to ensure there’s no danger due to a faulty gas boiler. When viewing properties check your mobile phone coverage in several rooms. Don’t forget to ask about broadband or fibre service too. If broadband/fibre has never been installed, you could check with a local telecoms store (such as The Phone House) to see what’s available. Ask where the water mains supply turns off (and turn it to make sure it’s not blocked) and the electric mains. If you’re planning to rent long-term there might be some parts of the property that you’d like to change or improve. You may think that repainting the walls a different colour is fine, but the owner may think otherwise and want them repainting the original colour when you move. Best to check with the landlord before you do anything! Many owners will take your departure as an excuse to keep all or part of your deposit to pay for repairs or paintwork. Now is the time when those photos in the contract could come in handy. It helps to clean up the property and repair any damage before the landlord makes the final inspection. Remove all screws and nails from the walls, fill in the holes and paint over. Deep clean the bathroom until spotless. You can rent a steamer to help with the job and buy a limescale removal product. The same goes for the kitchen. Don’t forget inside the oven and microwave, remove the boards below cabinets to sweep or vacuum underneath. If you have a garage, make sure it’s empty and the floor has been swept. Last thing is to sweep, vacuum and/or mop all empty rooms to avoid the floors getting dirty again. If you previously lived at another address in Spain it’s a good idea to pay for Correos mail forwarding service. This service is available for 1, 2 or 6 months. 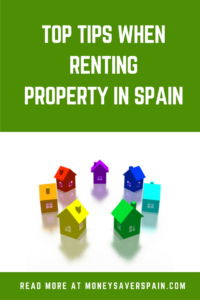 Not many tenants know that they ought to pay a tax when renting property in Spain: “Impuesto de Transmisiones Patrimoniales”. Until recently this was hardly paid by anyone. Even though many regional authorities in Spain don’t check if it’s been paid, some have started to do so.